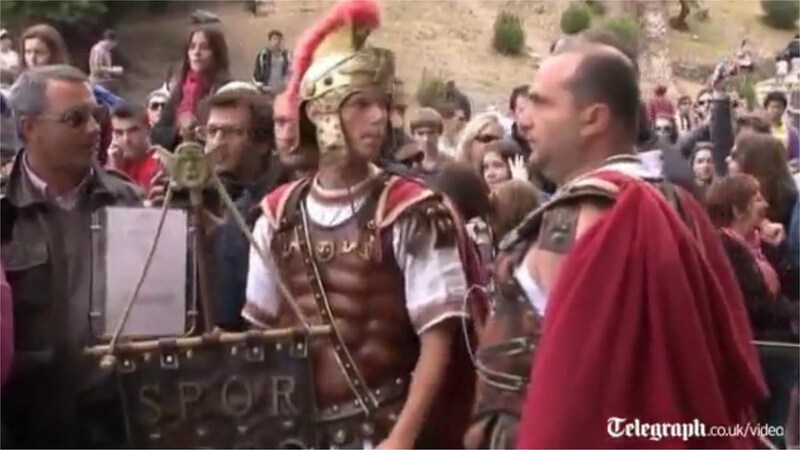 At Rome, tempers are flaring up as Angry Roman centurions besiege Colosseum. The argument with the police is quintessentially Roman. Look at the video - at 0'26" in, there is a wonderful torrent of Roman dialect which will bring back fond memories to those who studied out there. Maaassimoooou! Claaaaudia! Mo che fannnno? Voyo manja er pane. Aoo!